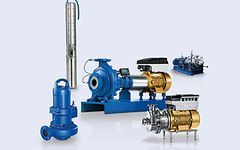 KSB’s portfolio ranges from standard pumps to engineered products. The product range is rounded off by the canned motor pumps of Nikkiso-KSB GmbH. KSB places great importance on providing energy-efficient solutions, supported by automation products. 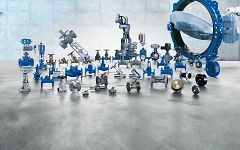 KSB responds to complex industrial requirements with a comprehensive valve range: from gate, globe and ball valves to AMRI shut-off butterfly valves.